Since our founding in 1956, Pelmor® has mixed all of the common as well as the advanced elastomers for our own customers, as well as for those companies who out-source this operation. Carbon Black and other chemical, health, and safety concerns associated with the mixing process are issues that a company doesn't have to deal with when Pelmor® mixes their materials. When we custom mix your rubber formulations, you avoid the outlays for the purchase, operation, and maintenance of expensive compounding equipment and raw materials. Further, we assume the responsibility for complying with all applicable governmental regulations. Over the years, Pelmor® has developed great skill in mixing fluoroelastomers to exact specifications. We have also acquired exceptional proficiency and cost efficiency in the custom mixing of small batches of rubber, whether it be for test batches, prototypes, or short production runs. 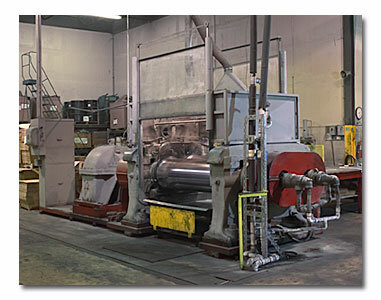 For maximum flexibility, we maintain 12" and 24" roll mills for the production of small batches. 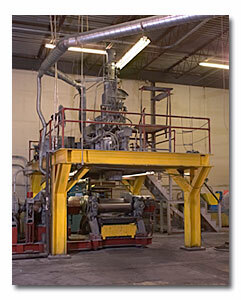 Larger production runs are made on our 19 liter internal mixer, or the 40" or 60" roll mills.